If you love lemony, soft, tender muffins boy have I got a recipe for you! 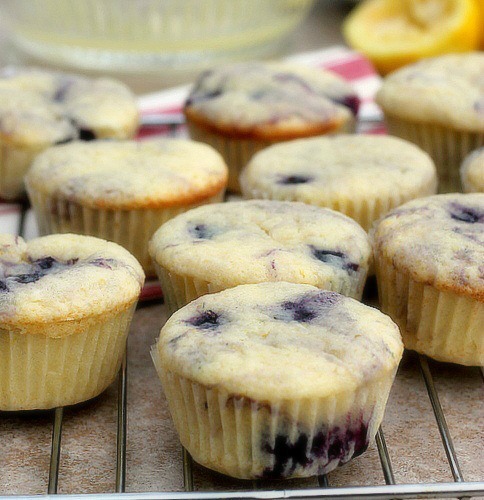 Lemon Cream Cheese Muffins have cubes of cream cheese in the batter. Yes cream cheese! It makes them unbelievably moist and tender. 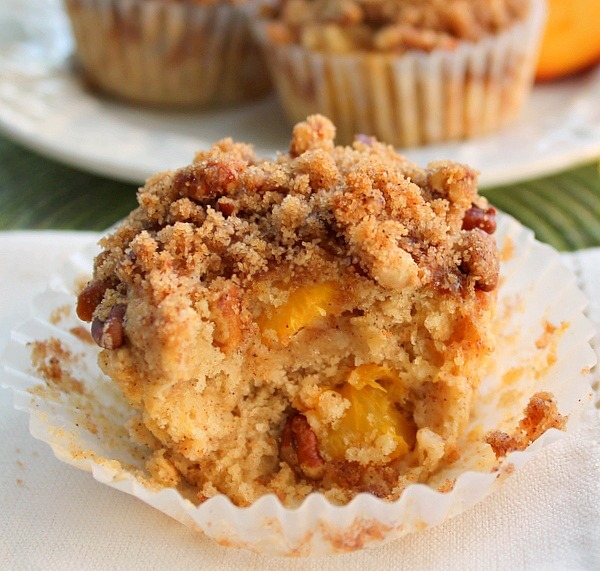 The muffin tops are brushed with a lemon glaze and sprinkled with crushed nuts. The recipe makes 12 delicious muffins that are perfect for a snack or enjoyed with a cup of coffee or tea. 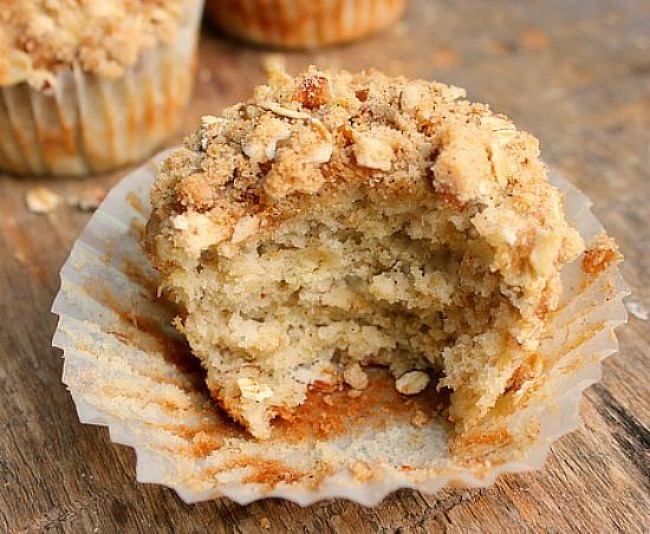 Lemon Cream Cheese Muffins…Enjoy! Preheat oven to 375 degrees. Grease a 12 cup muffin tin or use paper liners. Using a medium size bowl, sift the flour,baking powder and salt together, add the sugar to the bowl. Stir to combine. Cut the cream cheese into 1/2 inch cubes. Add the cream cheese to the bowl, making sure it is completely coated with flour. Separate the cubes if they're sticking together so they are coated on all sides. In a medium size bowl, add the egg, oil, milk, 1 Tablespoon lemon juice and 1 Tablespoon lemon zest. Whisk to incorporate thoroughly. Add the dry ingredients to the wet ingredients, stir till just moistened. 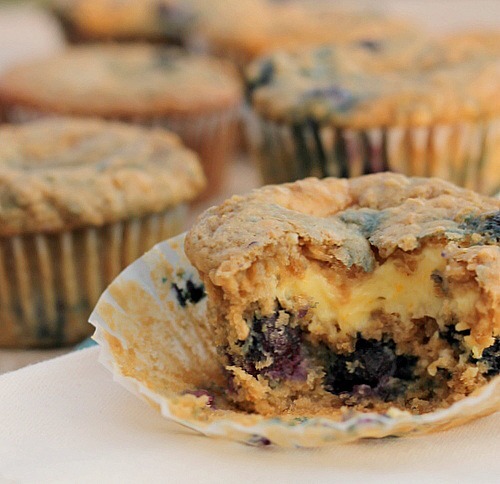 Spoon batter into muffin tins until they are 3/4 full. Bake at 375 degrees for 20 - 25 minutes. Combine 2 Tablespoons lemon juice and 2 Tablespoons sugar. Whisk until well incorporated. 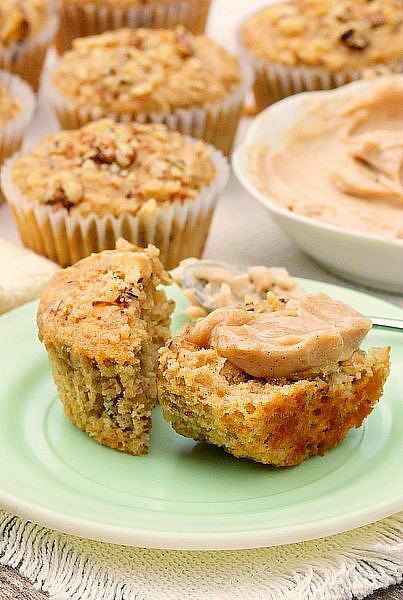 Brush the muffin tops with the topping while still hot, sprinkle tops with crushed nuts. Lemon is my chocolate! Add cream cheese to the mix.. pow! Great recipe! Oh it was good Deb! !